A powerful marketing campaign is so important to your business and we know that promo products can help you build a strong and successful campaign. So, we have put together 5 reasons why you should use promotional product marketing. This is part one of three. Each post will give you 5 more reasons why you should use promotional products in your marketing plan. So make sure to visit us again! Giving a promotional product to potential customers leaves them with something to remember you by. Receivers of promo gifts are more likely to do business with companies that have given it to them. 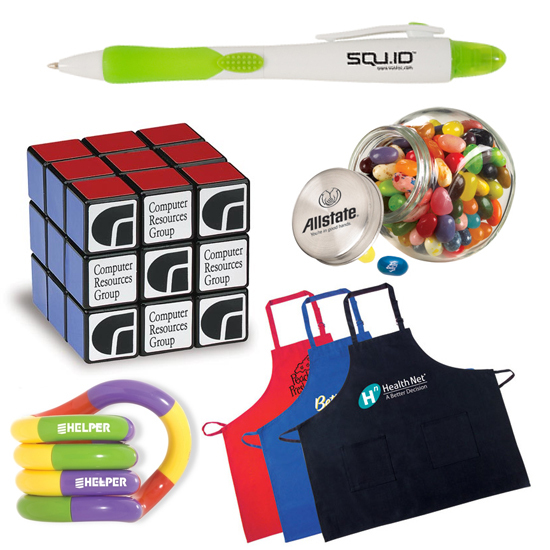 Promotional products will help your campaign by increasing awareness to your brand. For example if you use promotional pens each time that pen is used it promotes your brand. Giveaways attract attention to your company. Booths with trade show giveaways always attract more foot traffic. Choose a product that is valuable to attendees. Maybe something they can use while they visit. Each person that stops by your booth will spend a little extra time because you have instantly made it worth their while. You can even exchange promo gifts for email addresses which gives you easy access to follow up. Loyal clients will continue to be loyal as you reward them with incentive gifts. It tells them that they are important to you; that they are recognized. Keep your loyal clients happy and they are sure to be happy to recommend you. Custom giveaways are the strongest way to show appreciation. Nothing says “Thank You” like receiving a free and unexpected gift.